You must have version 4.08 or later to publish scores. That’s it, that simple! You are now ready to publish your scores from ProScore. 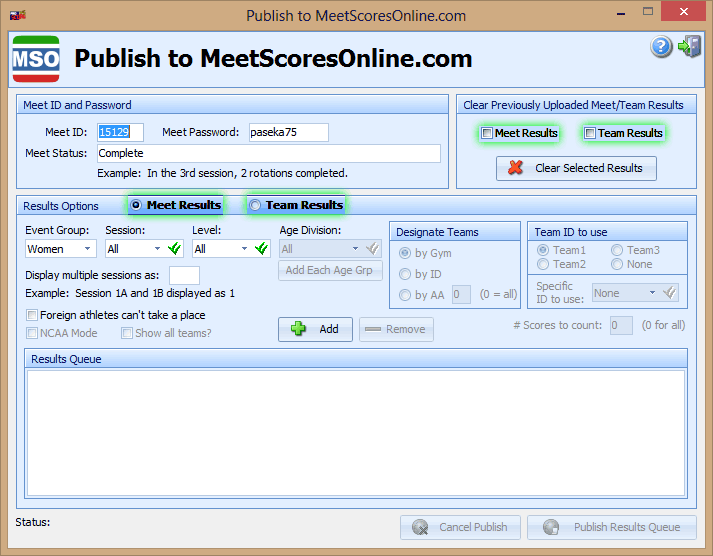 You can publish your scores any number of times during the meet. 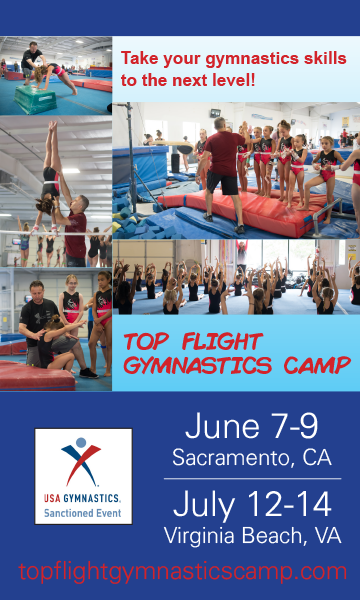 Your fans really appreciate it when you update the scores frequently, so we encourage you to do so! When you publish scores to MSO, you will be publishing the scores in the identical fashion that you would print meet results (that you ran your awards). So for individual results, if Session 2 had multiple levels which in turn had multiple divisions you would add each to your Result Queue for publishing (see below graphic). When uploading Team results, be sure to apply the criteria which was used to calculate team results for the meet. ProScore now communicates with MSO and waits for a response. This step takes just a couple of seconds. When complete, MSO sends back a response. The below response indicates that the upload was 100% successful. If there were any problems, an appropriate message would be displayed. That’s it! If you are in need of technical assistance, do not hesitate to call or email.